Figure 4-18. Boom point and idler sheaves, removal and installation. Figure 4-16. Dragline bucket, teeth replacement. (a) Position teeth on lip of bucket. 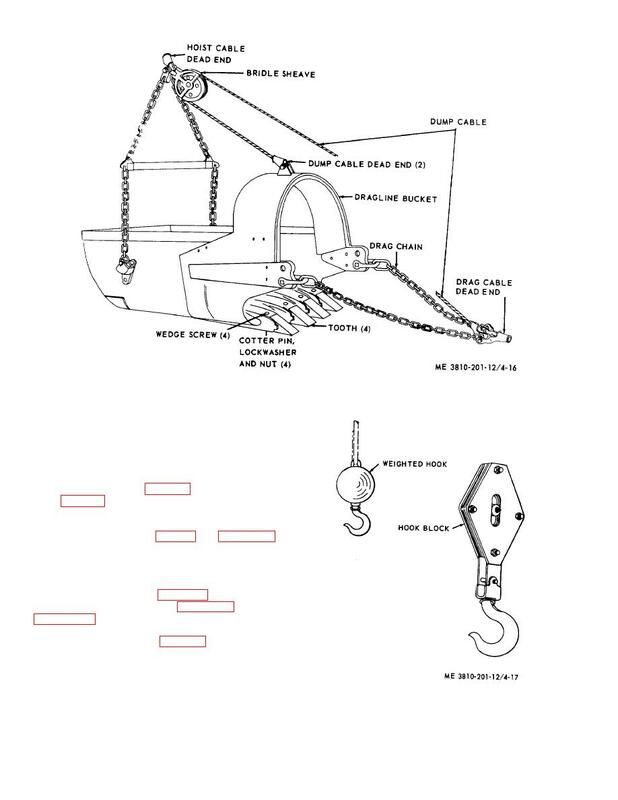 removal and installation of hook block or weighted hook. (1) Lower boom (para 2-12b). spacers, and three idler sheaves.